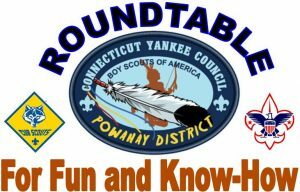 Please find below the monthly Roundtable Packet and other information presented at the April Roundtable. This Packet contains, calendar, District Contact information, current flyers on upcoming activities and other information. The PowerPoint presentation features the Adventure Plan & Affordable Activities for Scouts” presented by Evan Atkins. The Adventure Plan (TAP) is an online tool to guide unit leaders—Cubs, Scouts and Venturers and Sea Scouts— through all stages of Adventure planning. The presentation also includes Affordable Activities. If you would like more information please contact Evan at atkins.evan23@gmail.com.